Former Sea Isle City Fire Chief John Mazurie Sr., left, and his son, John Jr., hope that the 1927 Hale fire truck will become a showpiece at local parades and other public events. In 1927, Calvin Coolidge occupied the White House, a young aviator named Charles Lindbergh became a national hero by flying solo across the Atlantic in the Spirit of St. Louis and Babe Ruth clubbed his 60th home run of the season – a record that would stand for 34 years. In the then-tiny New Jersey shore town of Sea Isle City, 1927 was marked by the arrival of a brand new Hale fire truck featuring brass gauges, a wooden ladder, chrome bell and a hand-cranked siren that produced a distinctive wail to let everyone know the firefighters were rushing to a blaze. “That’s how they used to warn people that they were going to a fire. 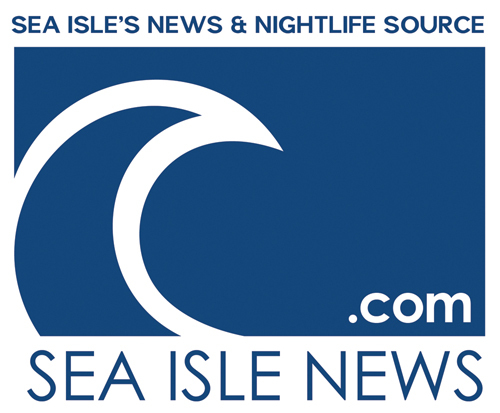 One guy would stand there and crank the hell out of the siren,” explained 84-year-old John Mazurie Sr., who served on Sea Isle’s fire department for more than a half-century and was the chief for 40 years before he retired. 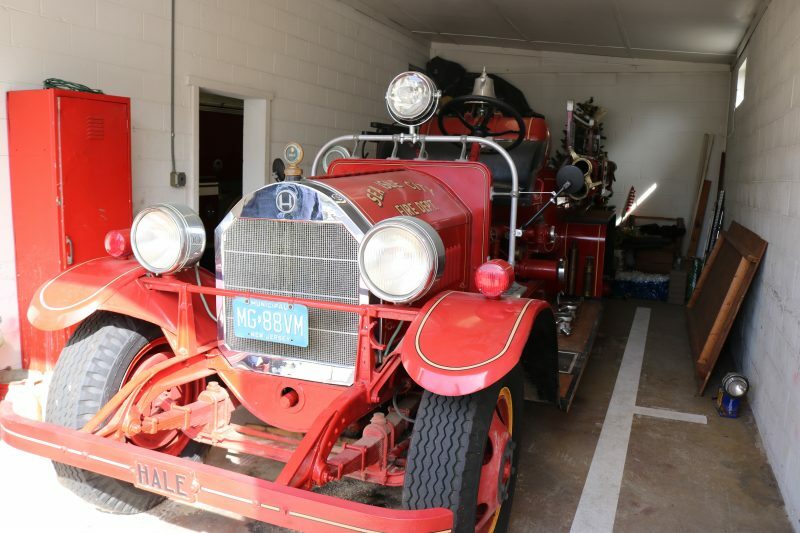 Although Mazurie spoke of what sounds like a long-forgotten piece of firefighting history, the old siren can still be heard today, because that same 1927 Hale fire truck still exists. 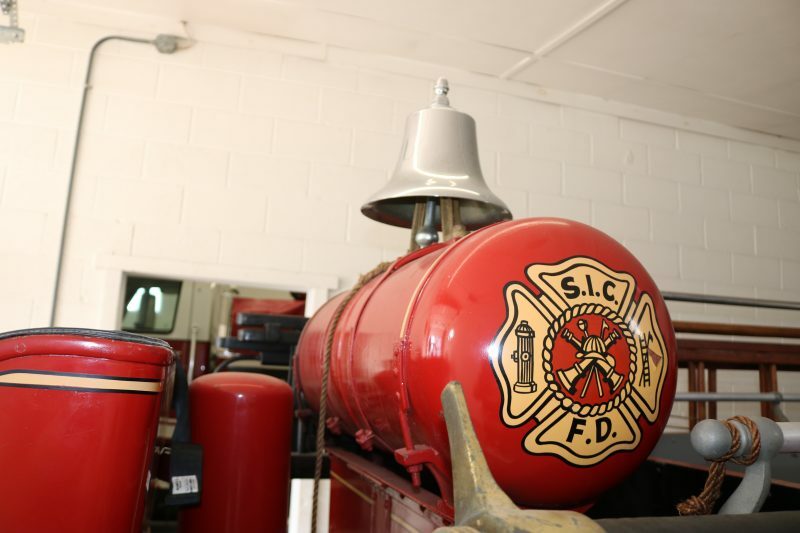 The antique 500-gallon pumper truck – resplendent in its fire engine red color scheme, although in need of a thorough polishing – remains tucked away in storage in Sea Isle’s Townsends Inlet fire station. 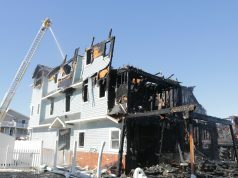 “It hasn’t been out on a fire in a long time,” Mazurie said in an interview Sunday while detailing the truck’s history. 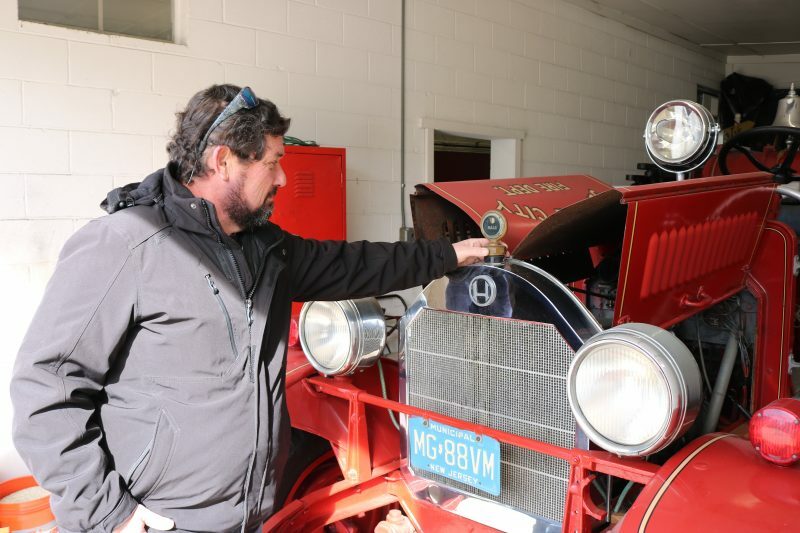 John Mazurie Jr. checks out the truck’s pressure gauge, which doubles as a brass hood ornament. 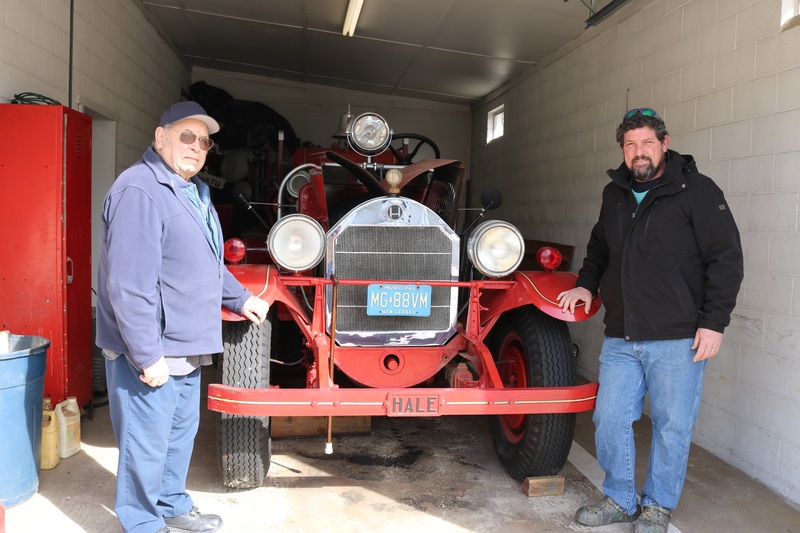 Mazurie and his 51-year-old son, John Jr., who has been a volunteer Sea Isle firefighter for 30 years, are hopeful that the fire truck can be restored to good running order again. For now, it sits idle in the Townsends Inlet fire station, seemingly frozen in time. 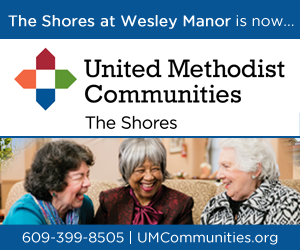 The Mazuries envision the fire truck appearing in parades and perhaps even being put on permanent public display, giving residents an opportunity to fully appreciate a part of local history. After its days as a working fire engine were over, the truck would occasionally appear in Sea Isle parades and other public events in New Jersey, collecting “Best of Show” trophies in the process. Now covered in dust, the old trophies are stored in cardboard boxes sitting on the floor next to the fire truck. The truck was already nearly 30 years old when John Mazurie Sr. first joined the fire department in 1953. He recalled that it was one of two 1927 Hale fire trucks serving Sea Isle at that time. The second truck was disassembled and used for parts over the years, Mazurie said. A chrome bell on top of the fire truck is one of the distinctive, old-fashioned features. About 20 to 25 years ago, the fire truck was restored with a new coat of paint and new tires. The shiny chrome parts – the headlights, radiator, bell and other pieces of the truck – were refurbished, too. One of the firefighters, Homer Miller, was devoted to the truck, lovingly polishing it and providing mechanical care over the years before he died in 2001. 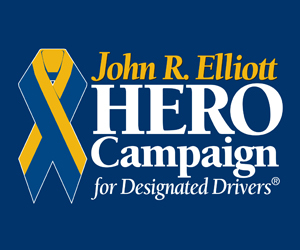 A plaque has been placed on the truck in Miller’s honor. “It was his baby,” John Mazurie Jr. said of Miller. Mazurie noted that the truck is in need of a “good polishing” to restore its luster. Moreover, it requires some mechanical work to get it back on the road. He believes none of the repairs would be serious. The Mazuries didn’t know the value of the vintage truck, but they speculated it would be worth a lot of money to collectors. There is no plan by the city to sell it. 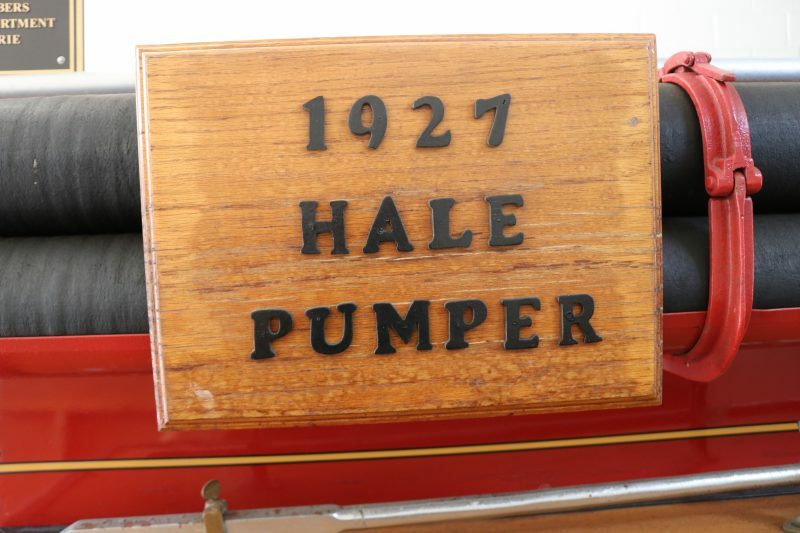 A wooden sign attached to the Hale pumper truck notes its 1927 origin. Overall, the truck appears in remarkably good condition for something 92 years old. The brass touches, chrome radiator, round headlights, wooden ladder, a running board made of oak and old-fashioned lanterns give it its distinctive look. And then there is the hand-cranked siren. 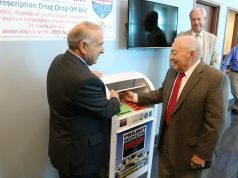 When John Mazurie Jr. first turned the crank Sunday, there was a raspy sound, like someone trying to clear their throat before speaking. As Mazurie cranked it faster, the siren came to life, producing a spirited wail, as though it were 1927 all over again. The truck, in storage in the Townsends Inlet fire station, is in need of mechanical repairs to get it back on the road.